See another side of Bali while on this Indonesian island: a 2-hour white water rafting adventure that includes lunch. Get picked up at your hotel in Nusa Dua and then hit the water on the class III rapids, passing scenic and lush rainforests, tiered rice paddies and stunning waterfalls. End the tour with a buffet lunch on the waterfront. Get a nice adrenaline rush while in Bali with this exciting and adventurous white water rafting experience. 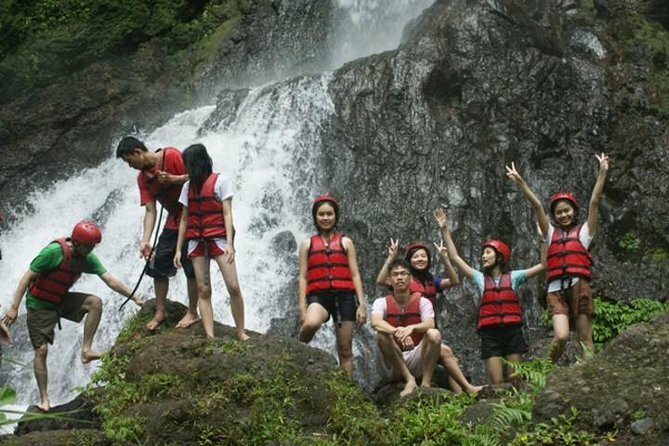 Hit the water on the class III rapids and see a different side of Bali during this 2-hour excursion. After getting picked up at your hotel in Nusa Dua, hop in the comfortable car and head for the river. Learn from the guide, the itinerary, including the route of the river and get some white water rafting techniques and tips. Once on the raft, enjoy the rush of excitement as you pass waterfalls, tiered rice paddies, and lush rainforests. Once the rafting is done, hop off and enjoy a delicious Balinese buffet lunch. Your tour will conclude when you are returned to your hotel. Great fun had by all. Great price compared with the hotel as well. Showers and lunch a bit grim.